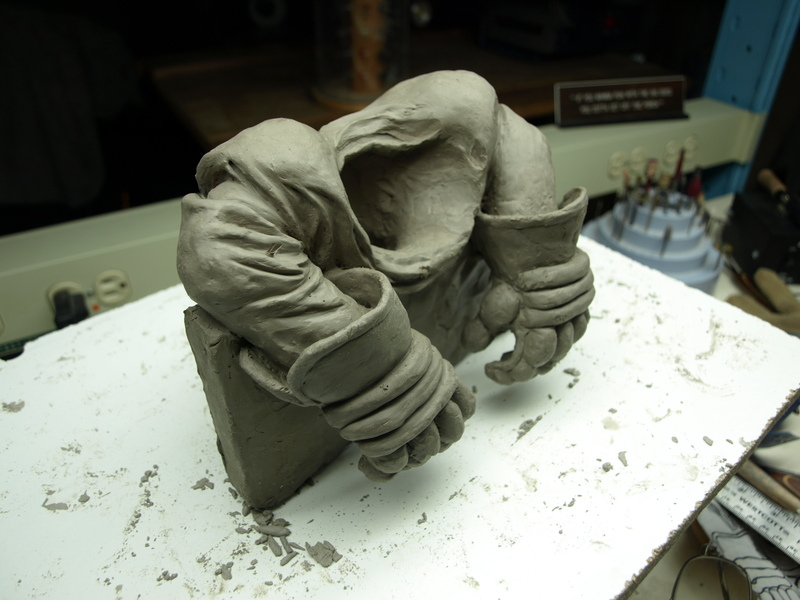 This ruffian is going to slowly turn from clay into a basswood carving. 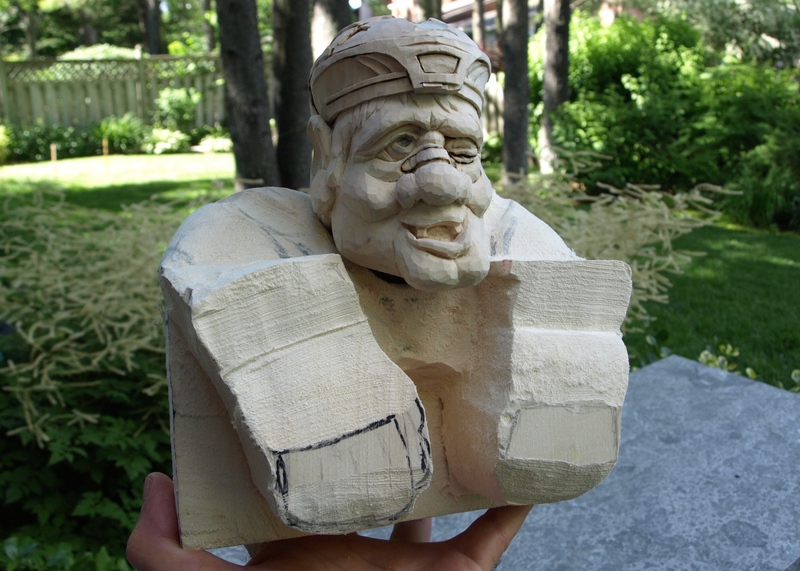 Although I could still add a little more detail to the clay as guidance for the carving, I started to rough-in the body of my hockey player. 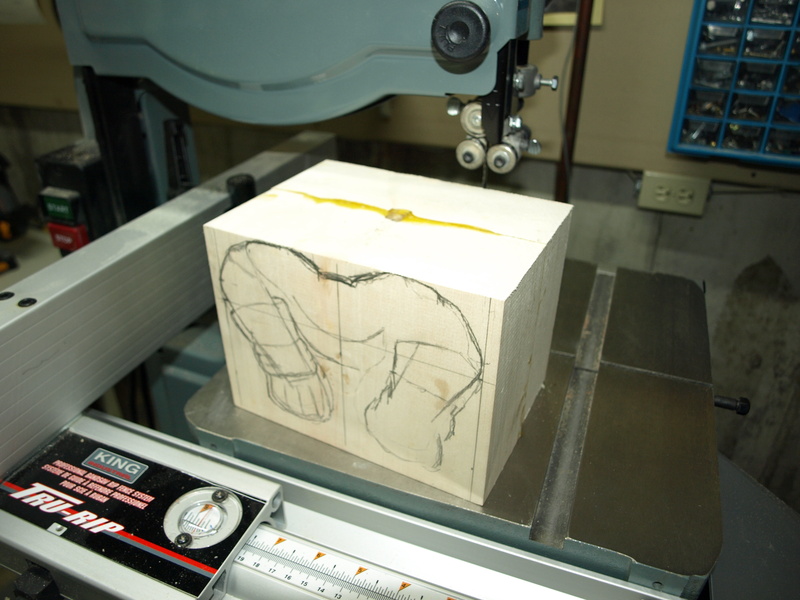 I actually didn’t have a piece of basswood quite deep enough so I glued two pieces together. Between some work on the bandsaw, a bit with a handsaw and some shaping with the Foredom tool equipped with a Typhoon carbide bit, the basic shape of the arms and body hanging over the penalty box boards is coming to life. The only thing I’m fighting at this point is the nice weather and getting outside to enjoy the yard-work! Maybe a remote shop on wheels that I can park on our patio is the way to go.